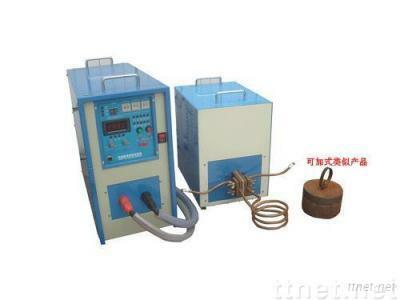 DaWei induction heating machines are wildly used in heat treatment, bonding, brazing, welding, forging, melting and heat fitting solutions in many fields. The main applications are as following. A: parts surface heating treatment, parts surface hardening, tempering, annealing, etc. B: metal brazing, high-frequency brazing, pan bottom brazing, tool head brazing, copper brazing, lead-free soldering, vacuum fusion, etc. C: forging, shaping, warm bending, high frequency shrinkage fitting, heat enveloping, heat sealing, metal desiccating, nut inserting, rotor inserting,etc. D: precious metals melting. E. dry resin, resin coating, warm resin forming,shrinkage fitting & Extraction ect.